Dr. LIU Yong is a Research Scientist at Alibaba-NTU Singapore Joint Research Institute and Joint NTU-UBC Research Centre of Excellence in Active Living for the Elderly (LILY), Nanyang Technological University, Singapore. 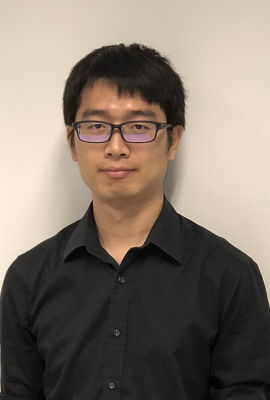 Prior to that, he was a Manager, Data Scientist at NTUC Enterprise, Singapore from November 2017 to July 2018, and a Research Scientist at Data Analytics Department, Institute for Infocomm Research (I2R), A*STAR, Singapore from November 2015 to October 2017. He received Ph.D. from the School of Computer Science and Engineering at Nanyang Technological University in 2016 and B.S. from the Department of Electronic Science and Technology at University of Science and Technology of China in 2008. His research areas include various topics in machine learning and data mining. His research papers appear in leading international conferences and journals. He has been invited as a PC member of major conferences such as KDD, IJCAI, AAAI, CIKM, ICDM, and reviewer for IEEE/ACM transactions. He is a member of ACM. High Performance Computing for Big Data: Methodologies and Applications, Edited by Chao Wang, ISBN: 978-1498783996, CRC Press, October 2017. IEEE/ACM Transactions on Computational Biology and Bioinformatics (TCBB), Accepted in 2019. The 29th International Conference on Genome Informatics (GIW 2018). Kun Ming, China, December, 2018. In Proceedings of 27th International Joint Conference on Artificial Intelligence (IJCAI 2018). Pages 3463-3469. Stockholm, Sweden, July 2018. In Proceedings of 2018 SIAM International Conference on Data Mining (SDM 2018). Pages 621-629. San Diego, California, USA, May 2018. In Proceedings of 13th International Conference on Advanced Data Mining and Applications (ADMA 2017). Pages 445-459. Singapore, November 2017. In Proceedings of 26th International Joint Conference on Artificial Intelligence (IJCAI 2017). Pages 2379-2385. Melbourne, Australia, August 2017. In Proceedings of 26th International Joint Conference on Artificial Intelligence (IJCAI 2017). Pages 1823-1829. Melbourne, Australia, August 2017. In Proceedings of 25th International Joint Conference on Artificial Intelligence (IJCAI 2016). Pages 1188-1194. New York City, USA, July 2016. PLOS Computational Biology (Impact Factor: 4.62), 2016, 12(2): e1004760, doi: 10.1371/journal.pcbi.1004760. In Proceedings of 24th International Joint Conference on Artificial Intelligence (IJCAI 2015). Pages 1792-1798. Buenos Aires, Argentina, July 2015. In Proceedings of 17th International Conference on Principles and Practice of Multi-Agent Systems (PRIMA 2014). Pages 357-364. Gold Coast, Australia. Dec 2014. In Proceedings of 23rd ACM International Conference on Information and Knowledge Management (CIKM 2014). Pages 739-748. Shanghai, China. Nov 2014. In Proceedings of 37th Annual ACM SIGIR Conference (SIGIR 2014). Pages 345-354. Gold Coast, Australia. July 2014. In Proceedings of 22nd ACM International Conference on Information and Knowledge Management (CIKM 2013). Pages 733-738. San Francisco, CA, USA. Oct 2013. Page generated 2019-04-03 13:07:35 Malay Peninsula Standard Time, by jemdoc.